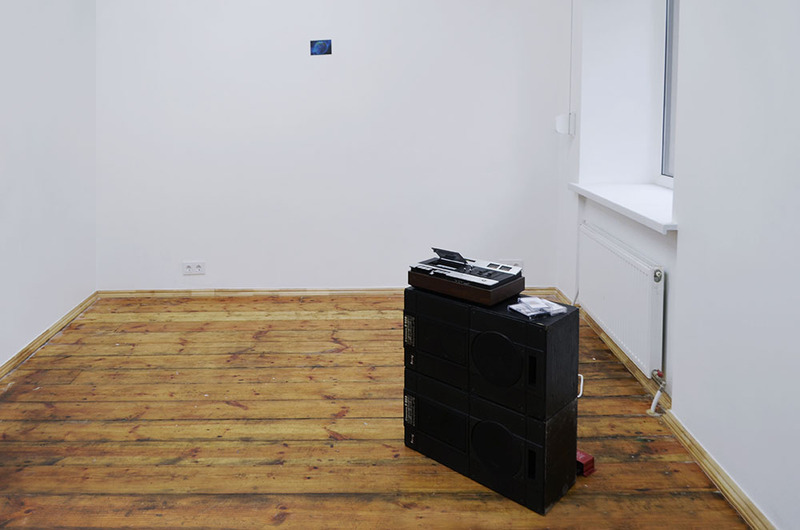 427 or FOUR TO SEVEN is an artist-run gallery in Riga that was opened in April 2014. It was established by Ieva Kraule and Kaspars Groševs. Àngels Miralda in conversation with Kaspars Groševs. ÀM: Can you tell us a bit about 427, how it started, and what it is now? KG: I’m pretty sure I am not the one who came up with the idea that there should be an artist’s run space. There was a group of artists who shared ideas about aesthetics and what art should be about. We were pretty unhappy with the Latvian art scene. At one point, we said we would open a space and run it all together but I wasn’t sure if that would work. It could have been a mess and I don’t like arguing with people. 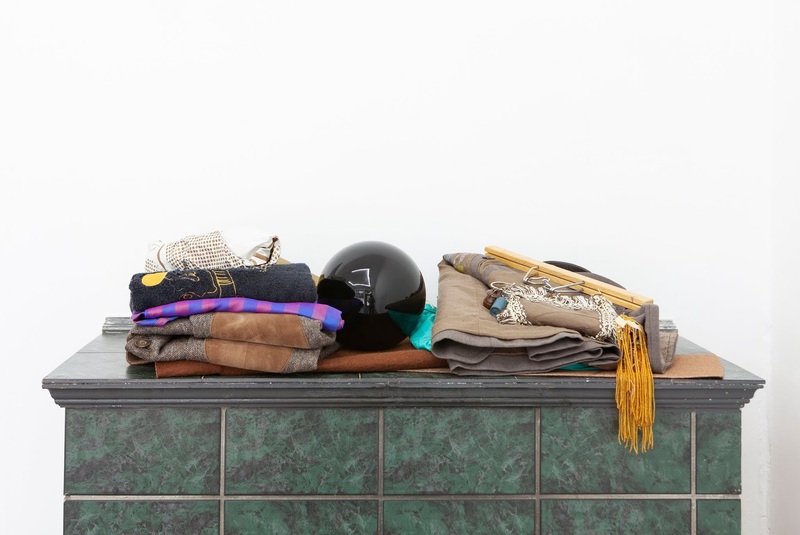 At that time Ieva Kraule was looking for a space for her graduate exhibition. She started looking through advertisements for spaces and it looked quite cheap. We thought, if they are so cheap let’s just take one and open a space. The first space was on Elijas street. It was quite close to Kim? Contemporary Art Centre so we thought if people go to Kim? they might as well come to 427. Ieva and I decided to do the first couple of shows out of pocket and then try to get some funding. At the time spaces like Shanaynay in Paris, 1857 in Oslo, and Tulips & Roses in Vilnius were influences for me. The first show included ten artists – we sent them boxes with small drawings from the 1930’s from the area where the gallery was located along with poems, chewing gum, and money to return the box. Artist’s had to fit something inside the box and send it back. People responded really well. 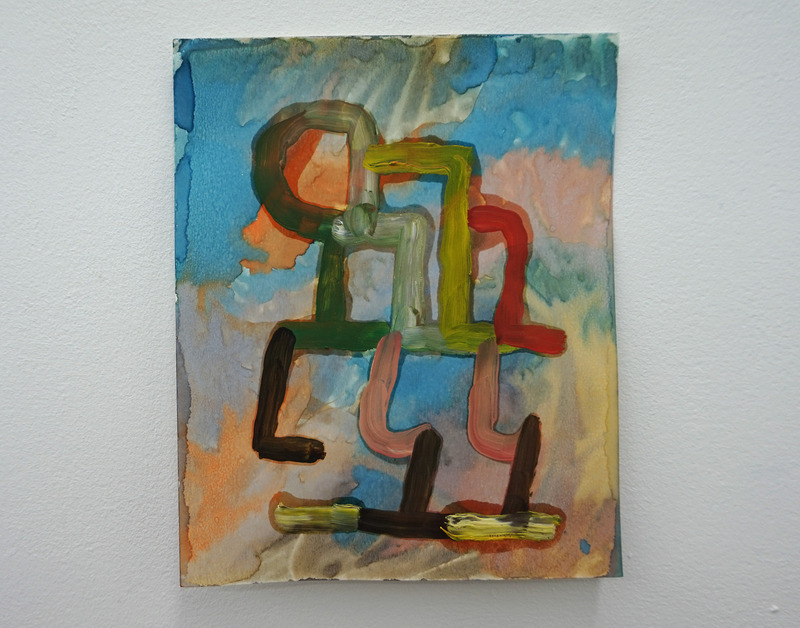 We invited artists who we had met and liked – international and Latvian artists. It included around 10 artists, it was a minimal show but everyone was excited and happy. At the time there were a couple of commercial galleries, a couple institutions, but there were not small artist run spaces in Riga. ÀM: How is it funded and who organises the programme? KG: We try to apply to the local Culture Capital Foundation. This year we got it but last year we didn’t. Last year we had to start a crowd-funding campaign just to cover the rent as well as search for funding for individual exhibitions which was not always reliable. For the last exhibition with Bora Akinciturk we received the last funding grant for small exhibitions so we were able to afford materials to make this crazy installation. When we don’t get funding we have to get creative and think how can we ship works most economically, or, maybe the artists can stay at friend’s houses. 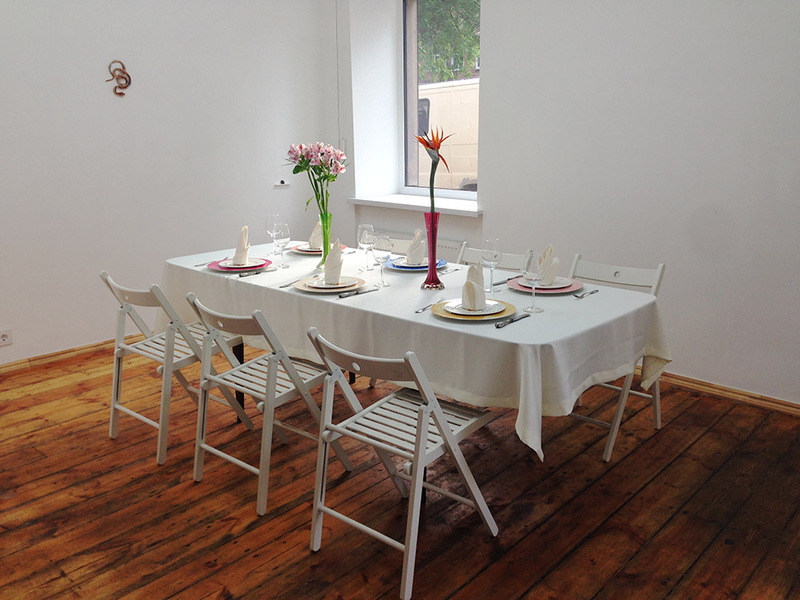 ÀM: What about being in Riga – how has the space contributed to this art scene. How does it relate to other spaces in Riga and internationally? KG: We opened the space in Riga because we lived here. There were people having exhibitions in bars before but we wanted a different space. With my own work I’ve sometimes used off-spaces to do solo exhibitions. Sometimes I felt that I should move to another city but I felt it wouldn’t be as rewarding to have a space in Berlin or London – in Riga there is a sense of community and people like to help with installs and looking after the gallery. At the last opening our friend who runs the vegan café Terapija brought over some vegan delicacies for everyone, there has also been support in terms of wines and beers – so there are advantages in staying local. Internationally we have friends in some cities but I wouldn’t call it a network. If anything, our international network is through artists and they give recommendations of other artists to show. ÀM: How do you hear about the artists you invite? KG: During the first couple of years it was just people who we met. Whenever we travel we try to do studio visits but now of course there’s internet and sometimes you just see something that you like. 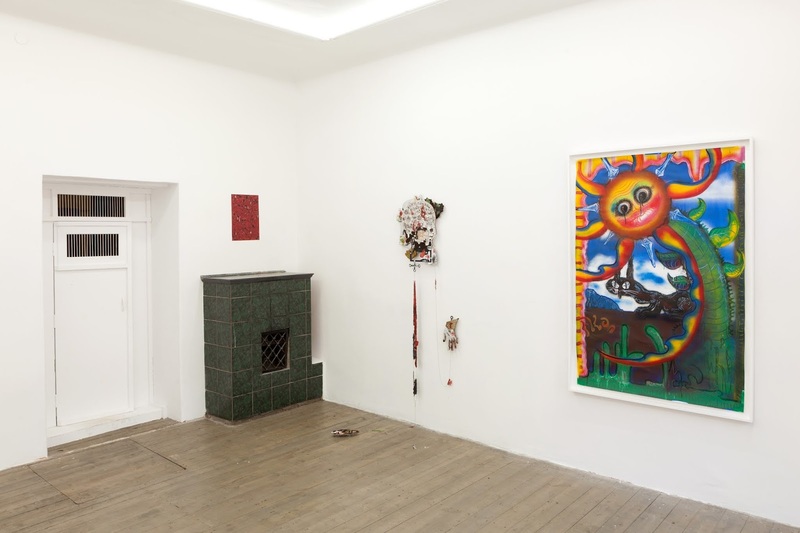 For instance, Mirak Jamal was suggested by Daria Melnikova who met him in Berlin, then Mirak suggested some other artists – that’s probably why we had so many Berlin-based artists. The first year was mainly just people whose works I liked and who I wanted to bring to Latvia. Generally though, the works have to be interesting, usually it’s work made with your hands, but most importantly the artist should be a nice person. If you know the person and are comfortable with them, it’s just easier, you can improvise and be sure that the exhibition will be good for everyone. The collaboration needs to be enjoyable. ÀM: You are also a practicing artist; how do you balance your curatorial and artistic work? KG: I don’t balance it at all. It starts to feel like the curatorial work and the art practice is all one. Curatorially I guess I would be more interested in artists whose works are close to mine, they have similar interests and processes. I feel like my whole life is a series of putting out fires – the artist is coming and work needs to go up in the gallery - so it’s like an emergency situation every month. I don’t think in the long term. Things are somehow sporadic but that’s how I operate. The gallery somehow forces me to compartmentalise my thinking – get something planned and then execute it. It used to be that we didn’t know what we were going to show in two months – now we talk to artists one year in advance. ÀM: Can we speak a bit about some of the more interdisciplinary projects, for instance, you work inside and outside 427 with musicians. KG: First I got interested in music and only after that I thought art can be a profession. I work in music all the time. For Dopesmoker, a solo exhibition I did in Micelijs - another project space in Riga - last month, I prepared this weird space as an exhibition that would evolve. The idea is that you can always go but it morphs all the time. 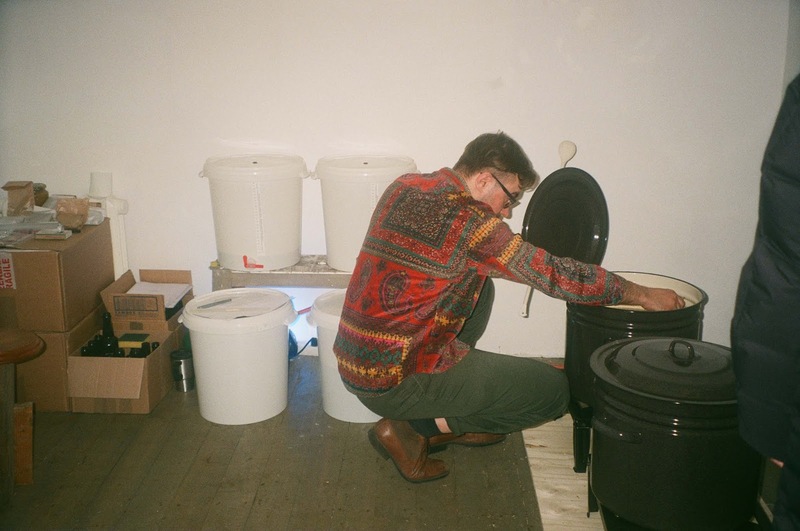 I wanted something that would fit with the mentality of the Latvian underground music scene so I invited musicians to jam in the space every evening. We can’t do that at 427 because we would anger our neighbours so I finally got to do this project there. Dopesmoker was not a way to define the underground music scene here but rather to show an understanding of how it works. We recorded several groups jamming – they tend to work for long periods of time without ever recording something. It’s a similar vibe in 427 – I usually tend to show artists who are not so visible in the local art scene- There are artists who are always working but don’t exhibit that often. With the musicians it was the same, they are always jamming but not performing publicly. ÀM: What is the future of 427? Other project spaces get “passed on” to new generations but this seems like quite a personal project to you. KG: In the beginning 427 was me and Ieva Kraule, now it’s me and Marta Trektere. 427 could probably be passed on, I just haven’t found the right candidate yet. At some point if I felt like I didn’t want to do it anymore that would be the first idea, to give it to someone else. If I ever got tired of having the physical space I might turn it into a digital space or something like that. In the first interview I ever did about this space I was asked how long will the space would last and I answered 427 weeks, 427 months, or 427 years.